Model: D105 (Manual) both options available. Tyre Size: 400*8 OR 500*12. Adjustable Rotavator from 30-48 inches. HTP for spraying can be connected to PTO shaft given. 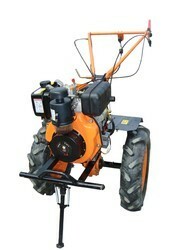 Water pump for pulling up the water from can be connected to PTO shaft given. Adjustable Rotavator from 24-42 inches. Rotavator, Tyres and Ridger comes free along with Machine. 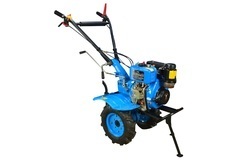 We have developed as the main manufacturer, trader and importer of premium quality Manual Power Weeder for Agriculture that assistance in uprooting weeds. Our weeder is a homestead actualize for blending and pounding the dirt. 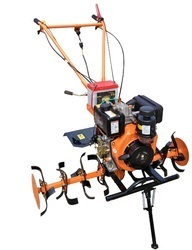 This weeder is produced as per predefined standards utilizing better review material. This weeder can be profited from us in various determinations inside the stipulated timeline. 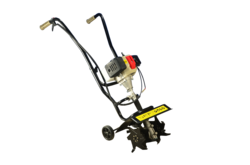 Looking for Power Weeder ?